This flat top D bed example of this famous marque is in it`s original box and although well used is still in very good condition. It has the distributors name plate inside of Grimshaw and Baxter and E.J. Elliot Ltd. There catalog was very extensive and included most of the German and Swiss makers. The lathe comes with the following compliment of equipment. 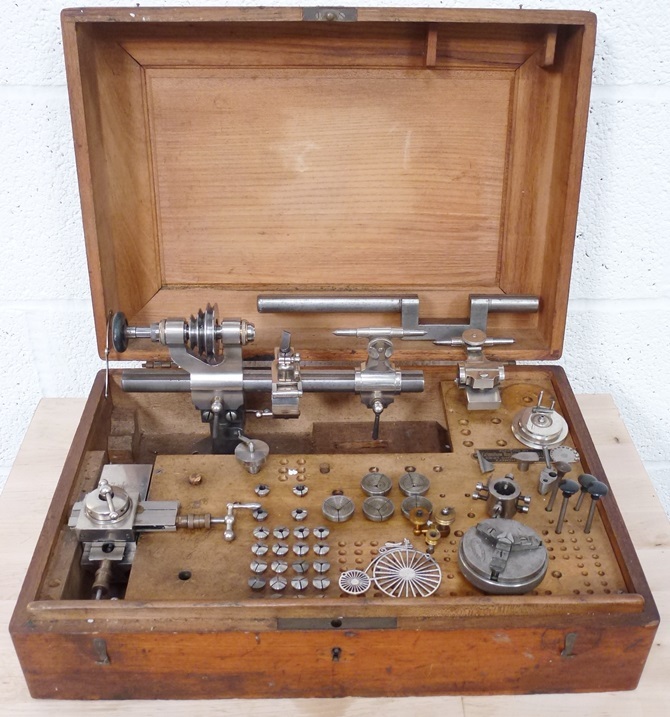 This lathe would suit watch or model maker alike.